I want to be a graphic designer when I am older as I am good at it now. I am 14 and great with using Photoshop and other software, but I'm wondering if I need to be good at math to become a good graphic designer, as I am not that good at math, nor too bad. Well, the thing is you don't need a whole lot of things in the world. Some food, water, shelter, and that's about it. So you definitely don't need maths, it goes into the same category as you don't need a car either. (In fact, contrary to what others have you believe you don't need money, you can live off the state's generosity in almost every prison known to man). Everything else you in addition to these things just enhances the quality of your life. Learning suitable math does, however, help in mostly any endeavor you'll take up. It will certainly help you when and if you start to build a name for your self freelancing however I'll like to leave you with a bit more info to inspire you to look at maths in other ways. Client asks you to draw a 7 sided star. Okay so you know that the angle between the points is 360/7 and each high and low is 360/(2*7). So you get. 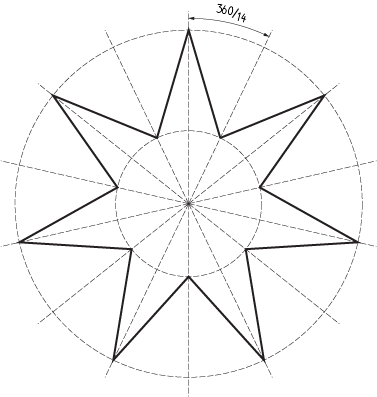 Image 1: A seven sided star. A more elaborate one could be: Suppose you need to build a three point arc, and you happen to be a bit short on tools. So it turns out that you can use a few properties of circles, lines and triangles. You can always form a circle that hits 2 points by drawing the center of the circle on the midpoint normal of the connecting line. You can find the midpoint by drawing any circles that cross each other. They will cross ate the center so if you connect the intersections you will get the center normal. Now because 3 points have to satisfy two of these the ONLY circles center lies at the intersection of the 2 normals. Another example: How do you turn a drawing into a isometric drawing? Well, this builds on a advanced mathematical concept of linear algebra. You know one of those things where you ask when will that car overtake the freight train when speed of car is 80 km/h and train is 60 km/h and the train has a 12 kilometer head start. Oh and it also uses trigonometry. One more example: Finding the lines that are equidistant in a perspective drawing is about finding the center of corners and then a extension line that intersects the baseline. This too is math. 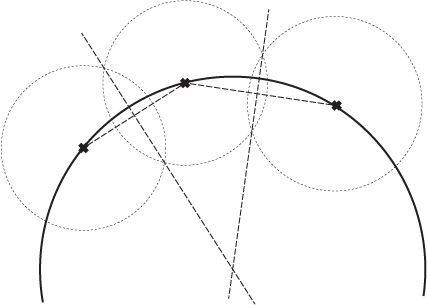 Image 4: Equidistant perspective relies of finding the center and intersections. So keep your eyes open there is fun math for everyone out there. Do you need it? Not particularly, but it helps. Disclaimer: I use questions answered by me as an example for the plain reason that I am familiar with them. Standard school concepts, like basic geometry and algebra – Even though most programs have tools for stuff like measuring angles or aligning available nowadays, I use those almost always when I do some graphic designing. Sometimes, because there is no tool available for these tasks; sometimes because it’s much faster. And this does not even take into account that things like coordinates, angles and colour spaces are mathematical concepts, understanding which you really cannot do without. Advanced mathematical concepts – While I do not use these on a daily basis, they can be helpful at times. For an example, see this answer, which inherently employs knowledge on what the projection of a helix looks like (a sine), properties of a sine and derivatives. After all, geometry is a mathematical discipline. For another example, see this answer. Finally, you might very well end up in the need to write such tools yourself, see e.g. this report on designing a signage typeface. Mathematical thinking – Apart from tools that directly allow you to do deal with numbers, geometry and so on, a mathematical education also comes along with problem-solving skills and enables you to see certain things from another perspective. These in turn may be very helpful to solve the more technical aspects of graphic designing; for example, I think I employed some mathematical thinking in these answers: , . Also, as certain tools use mathematics under the hood, mathematical thinking helps you to form an intuition for them even if you do not understand or delve into the underlying mathematics. Finally, mathematical thinking is very helpful for learning programming, which in turn is a useful skill for a graphic designer nowadays. ¹ I am a physicist working in a field which is mainly occupied by mathematicians, I publish papers containing proofs, I tutored maths on a university level and I studied math to almost a bachelor’s equivalent. I studied engineering a couple of years before I swiched to graphic design. There are a lot of differences in the use of mathematics between the two disciplines. You need mathematics? Yes, everyone needs some. A lot of logical thinking. You need to think in proportions, percentages, the Rule of Three, conversion of units. Basic arithmetics there. Some geometry: angles, proportions (again), groups. Some algebra is useful to analyze problems. A lot of administration, bills to pay, time management. And again, a lot of logical thinking. You don’t need to understand how a program works or how it does the thing it does. How a conversion matrix is aplied to a gamma function given some initial values – the computer uses mathematics inside. But you don’t need to understand how the electrochemical synapsis of the brain occur either, to think about an idea for a logo. You don’t need derivatives, integrals and limits or how to obtain the critical temperature of the quantum state of the Bose–Einstein condensate. There is a chance you need to do some descriptive geometry or analytic geometry. I just hope that you really want to be a designer to overcome any wall it is in your way. Amazing answers. I just wanted to add something that has not been mentioned and is essential for a graphic designer: a practical knowledge of probability theory and statistic tools. Notice I qualify it as a "practical knowledge". By this I mean you need to know how to apply probability and statistical tools, not the heavy theory behind them. Without this knowledge you will fail to understand group studies and user trends which is quite essential and part of the everyday life of many designers in the fields of (e.g.) packaging design, web design, product design, fashion design and most of all advertising. Having knowledge of probability and statistic will also teach you how to interpret what you see and learn in a more objective way. You will learn, for example, what "average" really means, which is so often misinterpreted. You will also learn, for example, the value of the sample size and variance and how they are used and omitted (intentionally or not) so many times, misleading the interpretation of the results. Simply put, math is a tool like any other. If you lack the skill to use the tool, you can make fewer things. So I would judge it in the exact same way. If you can't sketch you will be limited in your work that way, and the same goes for math, as illustrated by @joojaa in his answer about geometry. We all lack in some aspect and it won't stop you from becoming a graphic designer if you shine in other ways. But it adds to your skill set. Knowing the decimal equivalent of fractions, and vice-versa. Ability to quickly calculate dimensions, for paper size, folds, die cuts, etc. There may be more I'm not thinking of at the moment; I'll come back and edit if any more come up. As a more general answer, whether it's learning math, playing a musical instrument, or learning a 2nd (or 3rd) language, I've always found that designers with a more well-rounded personality are able to produce significantly more ideas and concepts, because they have a wider pool of knowledge to draw from. So learn all you can! I am not a graphic designer, but this is what i think. To have good/bad grades or interest in math is not necessarily correlated to actually understanding it. You can see patterns in pictures, or cut a movie at the right places to create consistency throughout the film. Without knowing about the golden ratio. It is still about understanding math, without the need to explain the underlying process in numbers. What i want to say is that i believe you can work with graphic design without having good grades in math. Math is still probably involved in form of ratios, symmetry, etc but i dont believe it requires you to have an particular interest to the traditional form of math you learn in school. No. You don't need math to be a designer. If you want to express your creativity through methods which may require math, such as programming, having an understanding (basic-advanced) will reduce the barrier to discovery and exploration. If you can do your taxes, estimate costs, hours, and deadlines, you're more likely to be successful. You'll probably never need to determine the height of a flagpole with a 75ft shadow while a 16min late train travels 12.5km east towards its second stop, at what time of day. Not the answer you're looking for? Browse other questions tagged designers mathematics or ask your own question. Is it worth learning the SVG path attribute, or should I use a tool for drawing? Golden ratio, with or without padding/margin? Why do I have to use a gamma of 2.2 when using a JPEG picture? Calculating Fold Lines Based on Paper Thicknesses? Automating the Creation of Geometric Shapes? How much software experience do I need to be a well-rounded graphic designer? How can graphic design help improve internal communications? Is creative writing needed to be a graphic designer? Are Photoshop skills needed for a Graphic Illustrator?